From 12pm to 3pm, explore Bishop Alemany's incredible 55-acre campus, meet the school's award-winning faculty and staff and connect to the Catholic campus's many exceptional academic and extracurricular opportunities. Founded in 1956 and co-ed since 1970, Bishop Alemany is a beautiful, sprawling campus with a diverse student population of over 1,150. Offering a full Honors and AP curriculum, in addition to college-prep, including Engineering, Robotics and a Biomedical Science program, Alemany is one of the few schools in the LA Archdiocese with the AP Capstone distinction and maintains the optimum blend of study and athletics, competing in 22 different sports, many at the Division I level. On-site facilities include multiple athletic fields and courts; a swimming pool; gym; a 3,000-square-foot dance studio; a student art gallery; and, coming soon, an advanced manufacturing machine shop. Their commitment to excellence is built upon all of this and a community of faith and devotion to service. Math Support Services has transformed tutoring from a remedial chore to a support system. Founded on the belief that small class sizes and one-on-one instruction with flexible schedules play vital roles in how students comprehend content, improve test scores and study skills, and give motivation and confidence, this is the place for tutoring that gets results. Join the director of Math Support Services for a "Coffee Chat" when she answers questions on how to make sure your child is college bound and how to advocate for your child's special learning needs. Parents will learn valuable information in planning their child's path. The next Coffee Chat is November 3 from 9:30am to 11am; space is limited and RSVPs are required. Like what you see? 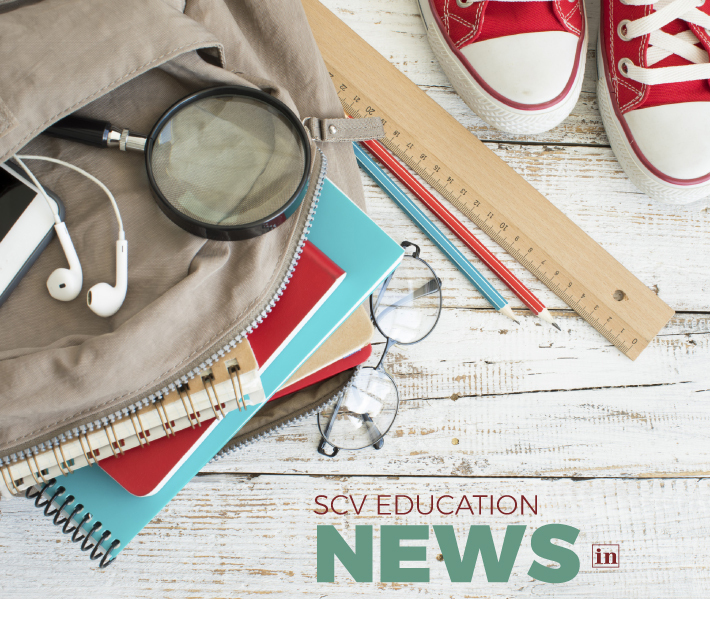 Mention Inside SCV and Math Support will waive your enrollment and testing fee when you enroll for a block of 10 or more sessions. They are conveniently located near the IHOP on Bouquet Canyon Road. Could your kiddo benefit from a big bump in confidence, charisma and school-friendly skills like reading, memorization, annunciation and music? If yes - have you considered acting lessons? Acting instruction isn't just for the children who seem like "naturals," though they absolutely will benefit from formal education, too. Private lessons will infuse your child with the confidence to master monologues, scene work, auditions, diction and speech, singing and breathing techniques, acting through song and much more. And it's more affordable than you might think. Private lessons that are customized to your child's skills and goals are $40 for a half hour and $60 for an hour at Olivia's Dollhouse Tea Room Toluca Lake. Available for children 8 and older, the courses are taught by Ada Marinelli, a working SAG-union actress with a master's degree in acting for film and undergraduate degree in musical theater. All levels are welcome and will benefit from Ada's usage of the Meisner technique, a well-recognized premier method of acting instruction. Santa Clarita Children's Dental's pediatric dental care team includes board-certified pediatric dentists who completed two additional years of training beyond dental school to learn how to treat and manage the oral health of infants and children. The pediatric dentists also have specialty training in oral conscious and IV sedation, and hold a Conscious Sedation License, for the State of California. Every pediatric dental pro at Santa Clarita Children's Dental understands that all kids have different oral-health needs - and that children with special needs may possess unique health problems that might include difficulty with dental care. As clinicians with special training in pediatric dentistry, the dentists and team at Santa Clarita Children's Dental know how to compassionately provide oral care to children with special needs. Parents and kids alike feel safe and comfortable with the practice's state-of-the-art technology and a full array of services like nitrous oxide, baby wellness exams, oral conscious and IV sedation, cleaning and digital x-rays, sedation dentistry, white fillings for the front and back of teeth and zirconium crowns.